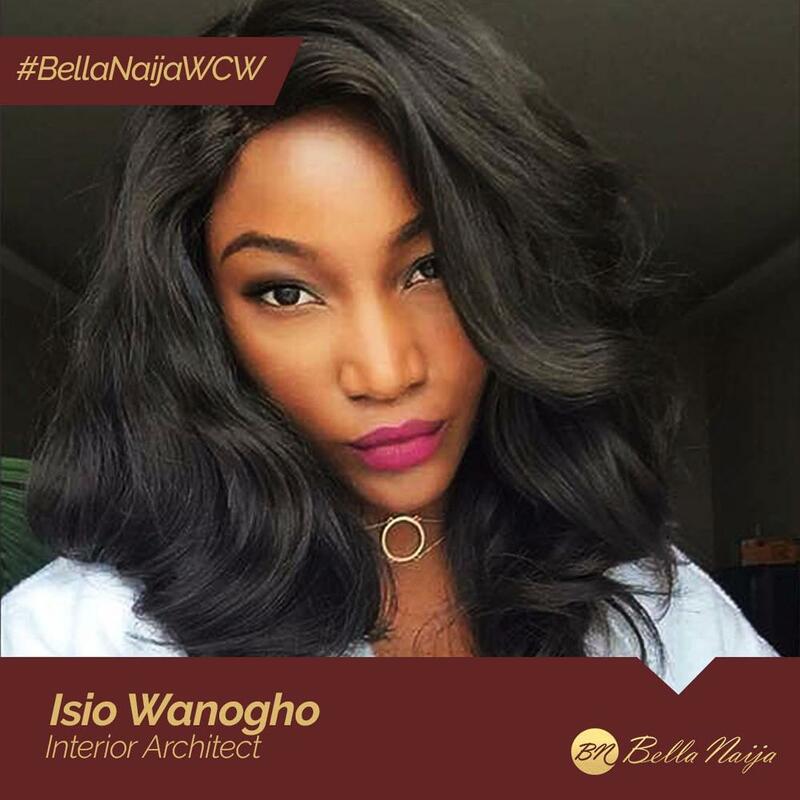 Isio Wanogho is an interior architect, fashion designer, model, TV presenter, painter and writer… Phew! Like anyone who wears many hats, it didn’t just happen in one day. She left for boarding school at age 5 and while there, she explored and expressed her writing, painting and drawing talents. She also participated in debates and other literary competitions within and outside her school. Isio began modelling at age 18, immediately after her secondary school education. Her big break in the modelling industry came when she was chosen to model for designer DAVIDA at the 2002 St. Moritz Style Selection – one of the biggest fashion shows in Nigeria at the time. She went on to model for other big names/brands. In 2015, she was unveiled as the face of DIESEL in Nigeria. In 2006, she ventured into the world of TV presenting as a guest presenter on Nigerian International show airing across Nigeria & the UK. 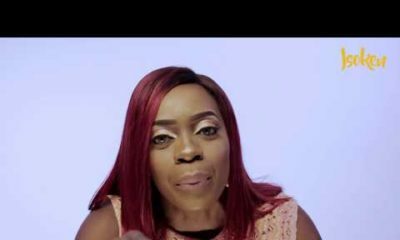 In the years after that she hosted TV shows for various brands and was head presenter at Spice TV, Soundcity’s affiliate fashion station. Isio bagged a Diploma in Fashion Design and Garment Production from Ginani Fashion Institute in 2010. 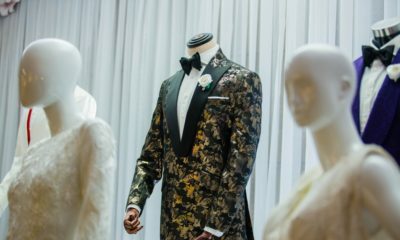 She debuted 5000 outfits as one of three official designers for the Lagos Carnival in the same year. Isio obtained a masters degree in interior architecture from Florence Design Academy in Italy, after which she set up Isio DelaVega Design Studios (IDDS) – an interior architecture/design company which has fashion and communications departments – in Nigeria. Isio was named in YNaija/Leading Ladies Africa’s 100 Most Inspiring Women in Nigeria 2017 list. She has also been nominated in The Future Awards Africa in the Model of the Year (2009) and TV Presenter of the Year (2010) categories. In 2013, she was named Youth Ambassador by the Global Foundation for Peace, Unity & Development. In 2014, she was named Model of the Year at the Lagos Fashion Awards. Isio is a bundle of several talents and she isn’t afraid of exploring, learning more about, and expressing them. This has made her a successful entrepreneur, fashion designer, model, painter and TV presenter, and for this, she is our BellaNaijaWCW this week. So bellanaija, you people did not tell us what happened to her weekly column? did she stop writing? i love u Isio and i miss your column…. Funny i kept reloading in anticipation of what you were going to write then, yes you are a captivating writer and i miss how you share yourself through ur column..Wishing you the very best life has to offer and much more. hugs and kisses……. Isio baby. Miss your articles. My Isio…Please come back to us. Such a phenomenal woman. Weldone! it was Isio’s Column that got me hooked on bellanaija.. Happy birthday!!!!!!!!!! We miss you Isio!!! You are the reason i am a BN fan today. Isio I miss you. The memories we had together…on BN…sigh. Im still not over it. I wish you all the best in all that you do. I remember I wrote the same thing when you told us that you were moving on. The pain is still fresh. Just the other day you crossed my mind and I said a little prayer for you. I still miss you Isio. Have a happy life. LOL…This reads like a love/heartbreak letter. Sadly, that is what good writers do to your heart when they decide move on. Isio, my crush. A woman, who won my heart through her writing. I wish you all the best. Keep soaring. She made me addicted to this blog….where are you my imaginary girlfriend? Did you notice that Isio did not do the normal-Nigerian-thing-or-else-you’ll-be- a-failure – attend university after secondary school? She started work right after, only did a diploma programme on a skill while still working and did her Mater’s years later. Yet, her spoken & written English are excellent. Her Master’s study was not even fully in English. Perhaps, She could have succeeded as much even without her Master’s. I am stressing this because many Nigerians have been made to believe that University education right after secondary school is the only route to secure your professional future. This is a lie to be unlearned. Isio & others are a proof you do not need to attend university to be articulate in the English language or to have a successful career. I choose a similar path too & I am doing very well in my field & personal finances. Isio is the reason I stopped reading BN Prose. Time and time again, after i get used to a writer and start looking forward to their article…they just STOP. The heartbreak became unbearable after refreshing day after day, week after week..looking for Isio. I wish you well Isio and I hope you are happy. May all your dreams come true. i saw this BN’s post, Or could you be IG’s naijasinglegirl.? Isio please come back to BN or just resume writing somewhere so I can have a hearty laugh again. Laughter caused by your article, is good for the soul..lol. I LOVE YOU iSIO. Isio Knows Better: A Life of Continuous Prayer to Sustain Your Happiness?